When we wander and visualize a field of flowers. We are transported to another dimension. A dimension of sheer beauty and enormous power. A garden of peace that transforms our very beings. They are urging us to come out and play. Visualize and feel the sun touching us with its golden ray. Time stands still, we are no longer governed by the clock. We are caught and quests in this beautiful moment of time. All troubles dissipated and problems cease. We are free to be part of God's creation. 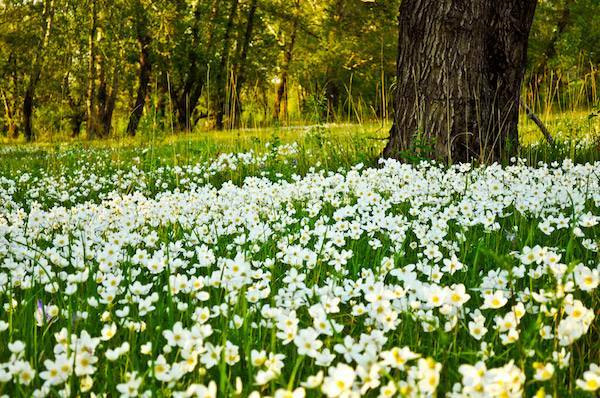 Walking through a field of flowers will give us such elation. It rejuvenates our senses and opens our imagination. Go to a field full of flowers. Be energised and enriched by their enormous healing power.